Molly McGrath–jewelry artist of Molly M. Designs–combines oxidized sterling silver with laser cut wood, leather, and canvas to create unique jewelry that is inspired by her work as an architect. Her pieces have been a favorite of ours for years. 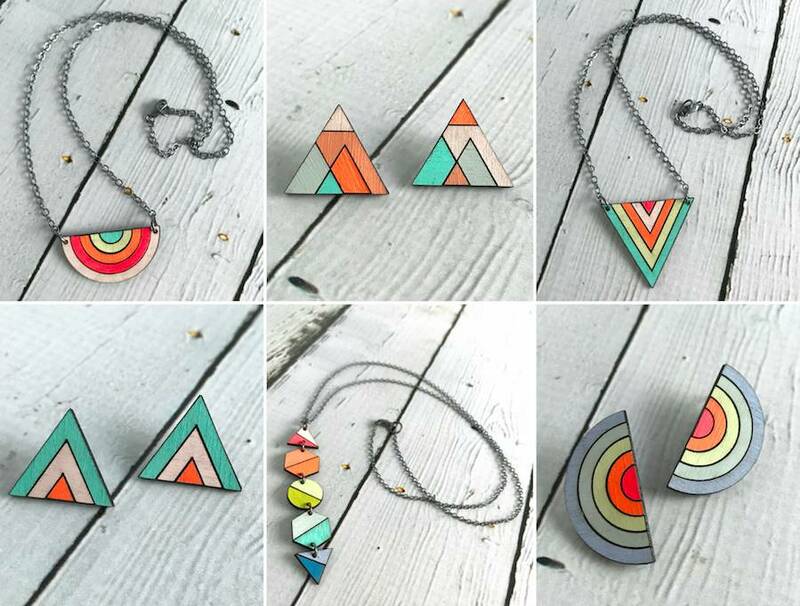 Her most recent collection features geometric cut birch with bright complimentary neon colors. These beautiful new pieces are available online and in-store. They're pretty much the perfect jewelry for spring and summer.